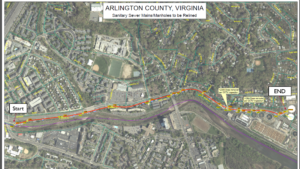 The project limits are: South Glebe Road from West Glebe Road to 3402 S Glebe Rd (Arlington's Water Pollution Control Plant). The sanitary sewer system is a key piece of infrastructure consisting of approximately 465 miles of sewer pipes and 13 lift stations. This intricate network exists to make sure that the wastewater that gets flushed every day from homes and businesses makes its way to the Water Pollution Control Plant (WPCP) where it’s properly cleaned and treated before being recycled back into the environment. 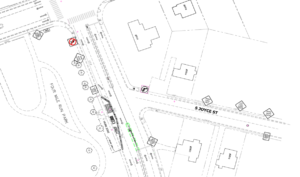 Learn more about our sanitary sewer system. CCTV inspection shows a small hole in the pipe. A temporary bypass will be installed to ensure no disruption in service. Due to the length of the project (5,900 linear feet), there will be some sections where the bypass is above ground. Manhole rehabilitation will follow the lining to completely seal the system from manhole to manhole eliminating infiltration and inflow. 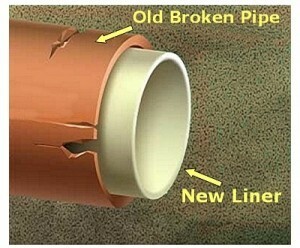 Cured-in-place pipe (CIPP) is a trenchless rehabilitation process used to repair existing pipelines using a resin (styrene) saturated felt tube. Crews place a flexible liner into the existing sewer. Heated water is forced into the liner, pushing the liner tightly against the existing sewer walls. 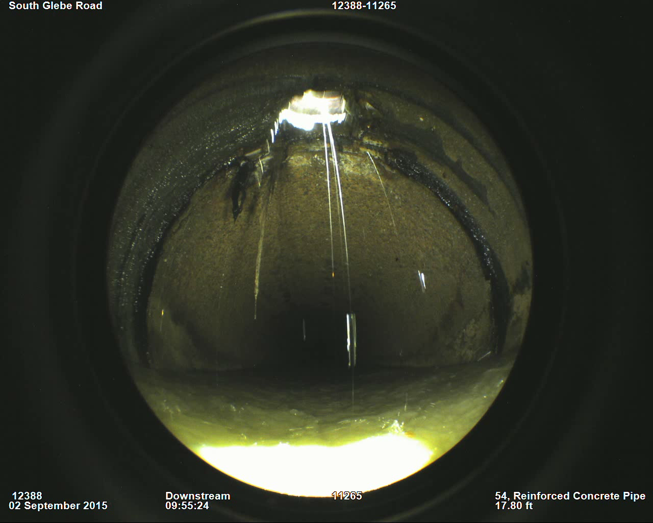 The heat causes the liner material to cure, creating a new pipe within the existing sewer that is free of cracks and holes. Crews then use pumps and hoses to re-route sewer flows, ensuring sanitary service to customers. The renewed pipe longevity is projected to last 50-70 years. Example of CIPP using hot water. A boiler truck uses water to cure the liner with a circulation pump. Timeline: Summer 2018 to winter 2018/19. 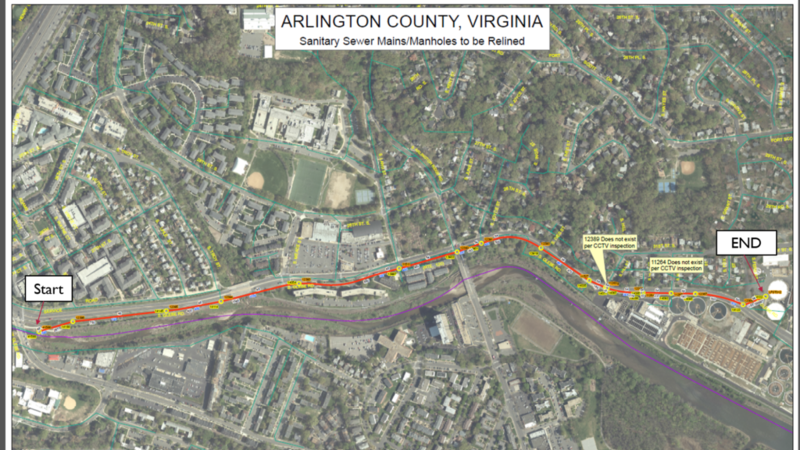 Additionally, a 60 inch section of pipe on S Glebe Rd between S Arlington Ridge Rd and S Joyce St will be removed and replaced.